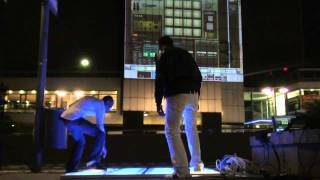 Analog synthesis, physical modeling, sampling, REX loops, support sound generators, effects, flexible routing, multiple hit types and more. 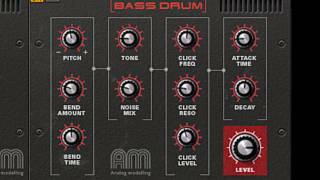 Kong Drum Designer is not your regular drum module. 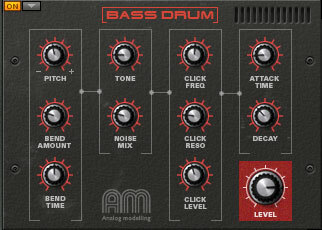 It's the drum module focused on letting you get exactly that drum sound you're after. Kong has 16 pads and 16 drums. 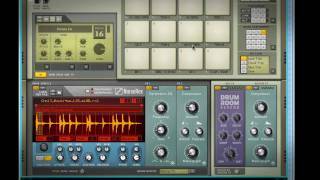 Build your drum sounds based on any of the nine different drum modules. 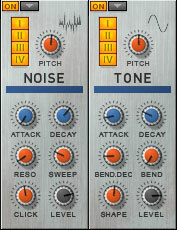 Flavor the sound with 11 support generators and effects. Program automation, create alternating groups and let Reason's powerful sequencer control the beat. Reason ships with a sound bank with a generous supply of kits for Kong across a wide variety of styles. From hard knocking kicks to long booming ones, the analog modeling kick drum can do them all. 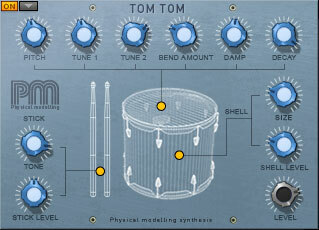 The synth snare drum is based on tone, harmonic and noise. Short and snappy or long and noisy. You decide. This module has four different hit types that can be spread out across the pads: closed, semi-closed; semi-open or open. If your fondest memories in life include a musical backdrop of those ubiquitous tom tom breaks in 80s ballads, then this module will make your eyes misty. 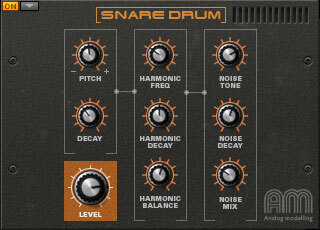 With its range of settings, this module can produce a wide selection of percussion sounds. 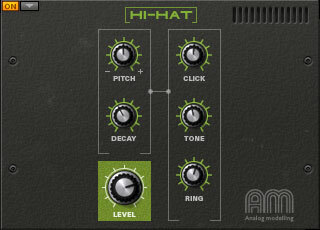 Built on physical modeling, this module generates organic sounding kicks with flexible settings for tuning, size, beater characteristics and more. 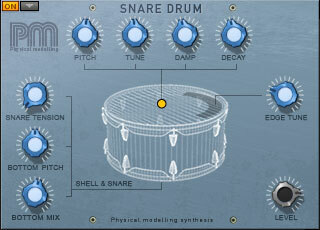 This module has four hit types (center, position 1, position 2 and edge) to generate a very natural sounding snare drum. It comes with settings for snare tension, bottom and top pitch and more. 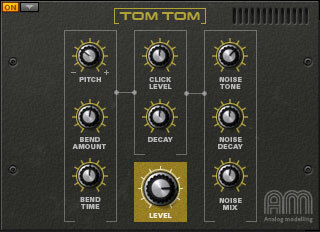 This model has settings for size, tuning, stick and more, making it capable of sounding like a wide range of tom tom-like drums. 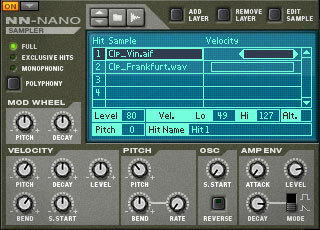 The NN-Nano is a multi-layered sampler & sample player that lets you build drum sounds by layering samples. 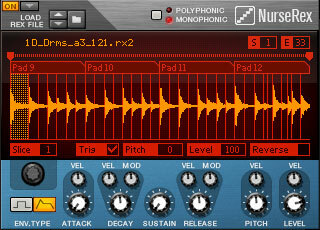 You can create layered sounds or use velocity settings to create velocity switching between samples. Nurse REX is an extremely versatile loop player. You can use it to trigger an entire loop from a pad, in sync of course, or use it to play a selected slice only. You can assign one loop across several pads and set the REX player to trigger chunks of slices – still in sync: instant breakbeat bliss! 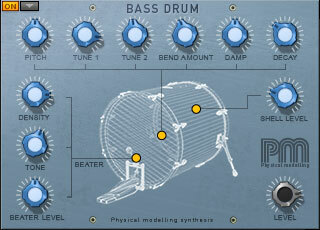 The support generators can be added after the drum module in the signal flow. They can add noise or tone to the sound if you need a little extra to get the sound you're after. Adds noise to the sound. Adds tone - from the lowest sub to ear-piercing high notes. 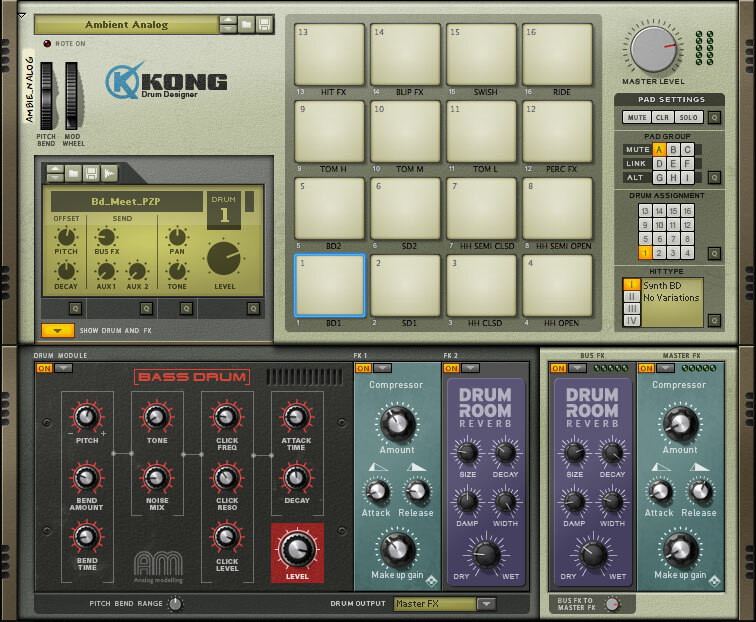 Kong comes with a selection of nine effect modules to help you shape your sound. Being Reason, you can of course also route external effects into Kong, or use Kong as an effect module.